The Patriot Guard Riders regularly assist veterans and their families through our Help on the Homefront (HOTH) programs. If have a request for you or your family member, please use the Contact Us link in the upper right corner and select Other. Selecting the most appropriate category below will help us better route your issue to the right people. Through our HOTH program, we can sometimes offer direct assistance to veterans and their families in time of need. We also have connections to other organizations and can offer referrals. Our registration process is pretty straightforward, just go to the Member Registration page and fill in the blanks. Forgotten Password If you know your PGR Username and have access to the email address you registered with, you can follow this link and have a new password sent to you. Forgotten PGR Username If you have access to the email you registered with, you can follow this link to have your username sent to you. The most common question we get about the PGR Store is "Why I can't see any PGR gear". The PGR items in the store are restricted to PGR Members. 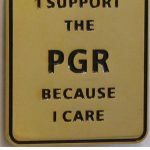 To access the PGR gear, you must first login to the main PGR site (this site) using your PGR credentials. If you have any other questions about the PGR store, leave a detailed message below. Please note - The Patriot Guard Riders requires nothing in exchange for services. It was our honor to show respect to your family member or loved one, and to stand with you to honor them. As a 100% volunteer organization, we have no central office to which you can send a note, and no office phone to call us up. We are truly an internet organization. If you would like to leave a "thank you" message to those that attended a mission; we welcome you to do so below. If you have a question that is not covered in that form, please leave details below.